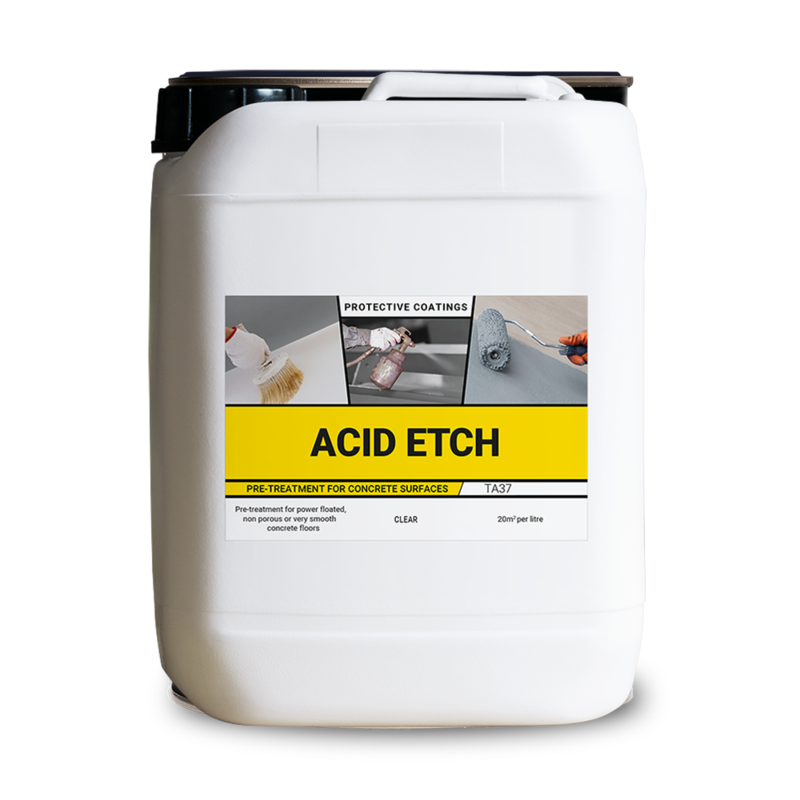 Biodegradable mineral acid base in water and wetting agents designed as a pre-treatment for concrete surfaces. Will cover 20m2 per litre. Removes excess lime from power floated or very smooth concrete floors to give improved adhesion to subsequent coatings. Power floated, smooth concrete surfaces.